What happens when our democracy isn’t really a democracy anymore? Through gerrymandering, Wisconsin Republicans turned their 48 percent loss into a 60 percent victory. If this happened in any other country, we would call this what it is — undemocratic and corrupt. Our democracy is broken. The American people have lost all confidence that their government actually represents their interests. Dubbed the first annual “Taxation & Libations” celebration, Tuesday’s party saw a hundred or so guests fill the main floor of The Wharf’s popular Pearl Street Warehouse venue. We’re all used to chaos in Washington these days. Amidst it all, there’s one little protocol change that could mean the undoing of our democratic process: the Commerce Department’s decision to ask people whether they’re citizens in the upcoming 2020 census. 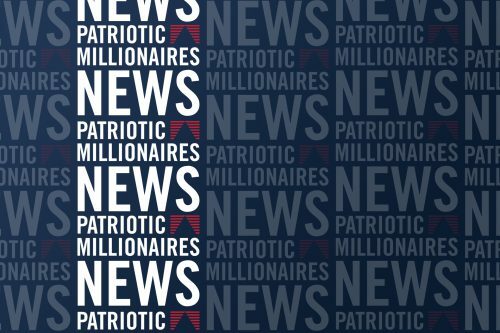 This Tax Day, author and reformed financier Morris Pearl sets the record straight on current tax policy and the GOP’s new tax law. The Guardian: I’m a millionaire who creates zero jobs. Why do I pay less tax than you? As millions of Americans race to complete their tax returns by April 15, let’s remember that not everyone is worried about paying taxes. The GOP has been furiously trying to spin their tax cut for the wealthy and corporations as a benefit to the average American worker, but their attempts are falling flat. “All over the city we have huge needs. We need better public transport that works for all of us. 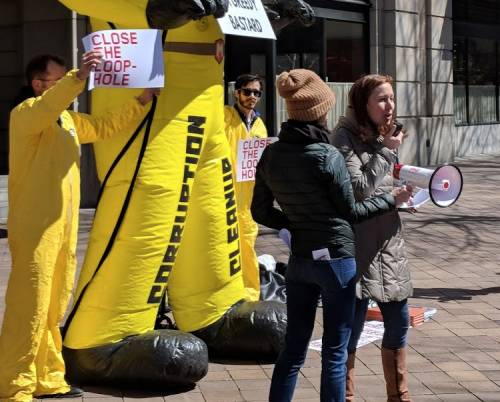 We need affordable housing,” said Elizabeth Falcon, speaking into a megaphone in front of the downtown Washington, D.C. office building of the Carlyle Group private equity fund. “All over the city we have huge needs. We need better public transport that works for all of us. We need affordable housing,” said Elizabeth Falcon, speaking into a megaphone in front of the tony downtown Washington, D.C. office building of the Carlyle Group private equity fund. On any given night in New York, more than 88,000 men, women, and children don’t know where they will sleep. Urging state lawmakers to hike their taxes, clothing designer Eileen Fisher and Walt Disney’s great-niece will join a group of nearly three dozen wealthy New Yorkers for a demonstration Tuesday in Albany. 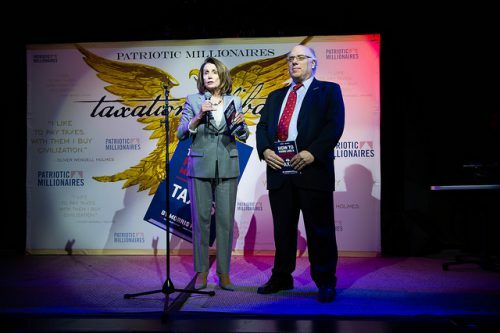 Two groups of New York millionaires have a solution to the state’s $4.4 billion budget deficit — raise our taxes. 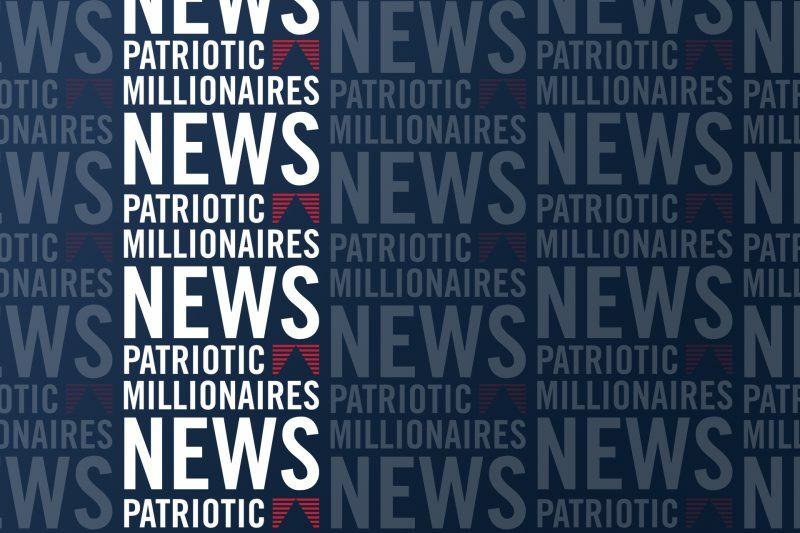 Mr. Wallace in 2016 wrote an online column with the headline “Why I Am A Patriotic Millionaire” that featured a photo of himself and his wife on a boat in Antarctica.